I don't notice advertisements for books, usually it's just a photograph of the author in some intellectual setting. 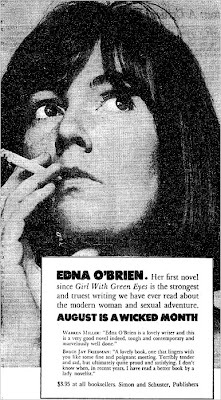 But here Edna O'Brien is provocative and slightly mischievous. For more alluring examples go to the NY Times blog, Paper Cuts.